It is time to wake up to the sweet chirping of birds and treat your senses to a new way of living at RAJPARIS Crystal Springs. Located on the waterfront of the Sithalapakkam Lake, this project offers the best of nature as well as the convenience of the well-connected Medavakkam Mambakkam Road. The homes are connected to Siruseri, OMR, Tharamani, Velechery and the nearby areas as well as to various IT hubs. The 2 BHK(Compact), 2 BHK & 3 BHK adobes of tranquility range from 550 sq.ft to 1142 sq.ft to fit the requirements of a wide range of buyers. Discover homes that personify brilliance at RAJPARIS RAM NIVAS. 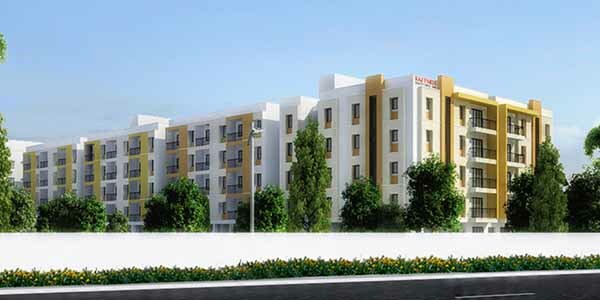 Strategically located at 4 kms from the Chennai Airport and 1 km from the Pallavaram railway station, the project placed in the fast developing Pallavaram area of Chennai is at the receiving end of a host of location benefits and is easily accessible to people living in Thoraipakkam, Chrompet, GST Road and the surrounding areas and for those who are working in nearby Industrial Places & IT parks. The 2, 2.5 and 3 BHK homes ranging from 930 sq.ft to 1369 sq.ft boast of latest amenities and best in class fittings too. 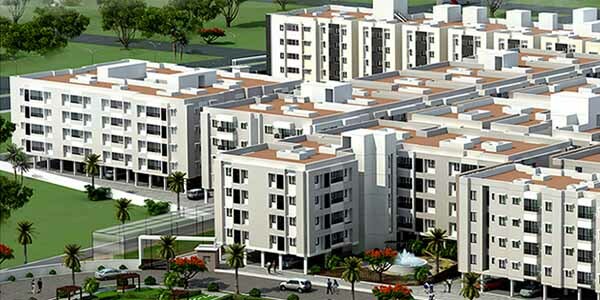 RAJPARIS Civil Constructions (RCC) established in 1980 has grown over the years to become one of the leading builders and promoters in Tamil Nadu. With expansive experience of delivering exemplary projects using sustainable building techniques, our passion to craft exquisite spaces of architecture and to fulfill home dreams has only increased. Our extensive list of projects include 80+ residential and 20+ commercial projects over the past 36 years.